Ramon Brown in action last year. L.C. Bird High gridiron stars may not have reeled in an Alabama offer, but it was most certainly a productive week for four Skyhawks standouts. Two athletes committed to colleges last week: Mykey Anderson and DeMarkus Dancy. They’ll continue their academic and football careers at UVA-Wise. “Mykey was a shutdown corner for us and a dynamic player on offense,” L.C. Bird head coach Troy Taylor said. Freshman running back Ramon Brown got an offer from Virginia Tech after a strong showing at the All-American and International bowls, two exhibitions that allow athletes to showcase their talents to colleges. Taylor and college coaches alike should be excited about Brown and other L.C. Bird athletes. 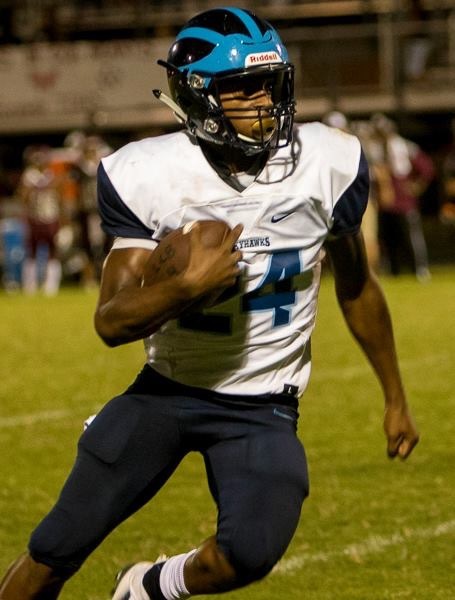 Virginia Tech, in particular, likes what the Skyhawks have had to offer, as Jayden Payoute recently signed with the Hokies. Last, but certainly not least, Jamal Tuppince, who served as L.C. 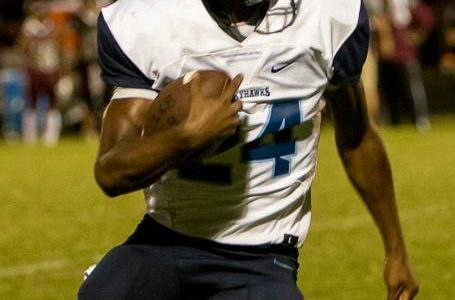 Bird’s running back and played on the defensive line, received his first offer: Averett University in Danville. The concept of “fullback” is now widely considered “old school,” so Tuppince will be recruited largely as a defensive, or perhaps even an offensive, lineman.